Reel 6: Does Carlos really believe that money can't buy him love? Does Carlos really believe that money can't buy him love? Matt Dickinson, on Twitter this morning, was questioning Carlos Tevez’s motives: “So we are clear, Tevez has to leave cos of family concerns. Just that in December he said it was because he hated Garry Cook… And a month ago in the NotW he said it was because mcfc had broken promises (tho he never said what they were)”. Tevez has been clear on his motives, and for him they are very simple: “Everything I do, I do for my daughters.” Well, we shall see. It is not cynical to say that the £200,000-a-week wages will be a high consideration, but if you’re doing this for the good of your children, and with a paycheque that large, you could take a pretty hefty cut in your income. 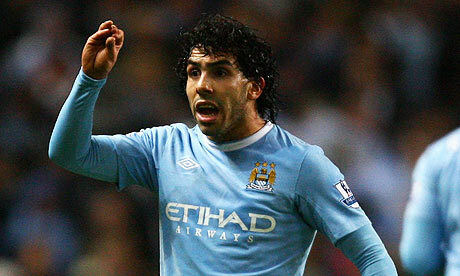 Tevez has acted like a little prince in the course of his City career. Now is a time for him to demonstrate some maturity and back up his admirable words with actions.